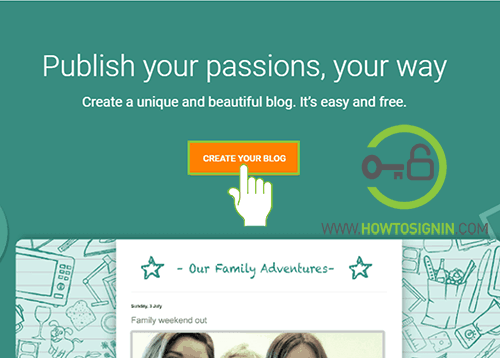 Free Blogger Sign Up - Create Blogspot account now! Blogspot or Blogger is a free blog-publishing service owned by Google. With Blogger you can start blogging for free, and you can do it even without any prior knowledge of web designing. Create a free blog with .blogspot.com subdomain attached to your primary domain name (example.blogspot.com) or register your own domain to have a complete website (example.com) paying a certain amount of money. Since Blogger is very own product of Google, it is integrated with other Google services and products like Google Toolbar, Docs, and AdSense. 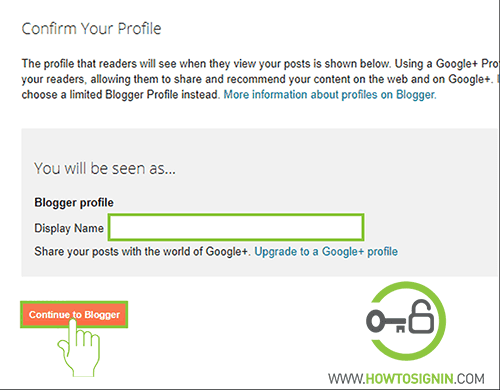 You need to have an existing Google account or create a new Google account for Blogger sign up. Why Blogger.com for starting a new blog? Start a new free blog for free and existing templates. Drag and Drop technique, which means you can create a professional looking site without having detail knowledge of coding and web development. Great trust and credibility as it is the platform owned by Google. You don’t have to worry about the security of your blog site. When your blog starts getting more and more visitors you can monetize your blog with the help of Google AdSense and other earning programs like affiliate marketing. Your blog can be a sound source of your income. How to Sign up for Blogger account? Go to blogger.com from web-browser and click on CREATE YOUR BLOG on the center of the page. 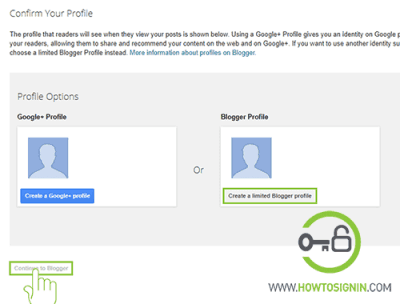 If have already signed in with your Google account you will be directly navigated to your Blogger account. 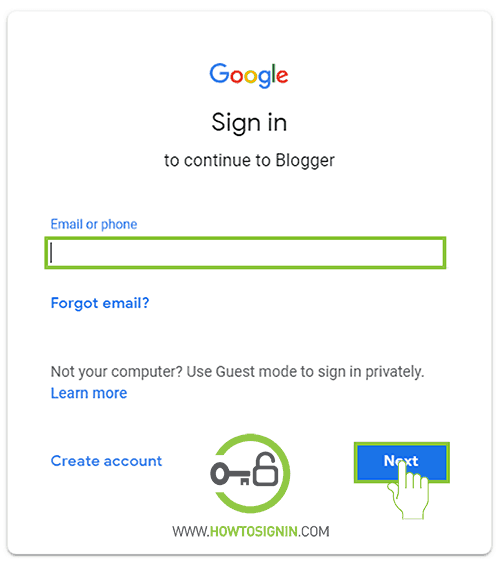 Sign in with Google account to continue to your new Blogger account. If you don’t have an existing account, you need to create a new Gmail account. 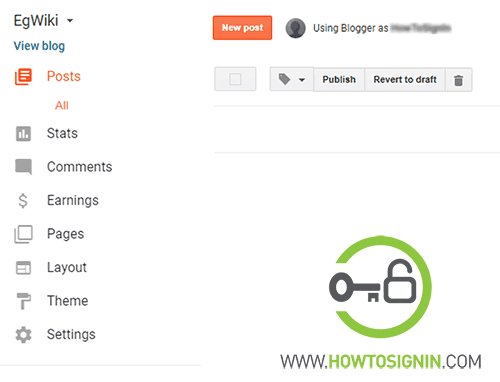 After you reach Blogger registration page, choose how your blog will show your profile. If you want to show your full social profile, choose to create a Google+ profile otherwise go with limited Blogger profile. When you choose create limited Blogger profile to show on your blog, enter your Display name for your blog. Finally hit Continue to Blogger to complete Blogger sign up. After Successfully registering BlogSpot account, you can start creating your blog with exciting contents including articles, pictures, videos and many more. 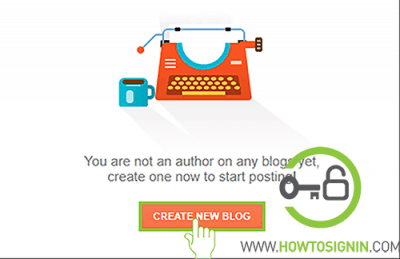 You can create multiple blogs with a single Blogger account. After Blogger sign up process is complete, start creating blogs to share your creation to your followers and others having interest in your site. Click on CREATE NEW BLOG button to get started with blog creation. Enter title of your blog. It will be the displayed heading on the top of your blog. You can change it with your own logo later. Choose web address for your blog, initially subdomain .blogspot.com will be attached to your blog address. After you complete blog creation, you can add a custom domain to your blog. 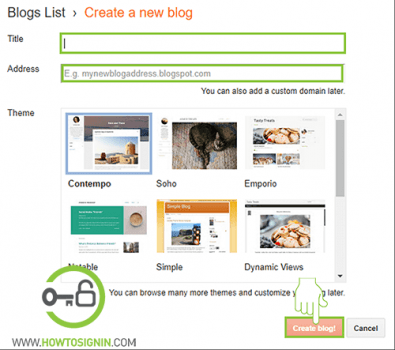 Select the best theme for your blog and click on Create blog! You will get tons of beautiful themes online during customization of your blog. Starting adding posts to your blog, customize the blog appearance, and track your blogs stats and visitors growth.